Do you simply want to make your 928 look better? Buy new wheels! This is often heart and to be honest, it is often true. The impact of new wheels is great and it is easily done. New body parts are far more expensive and much more complicated to do. If you believe the scene, Cup I wheels are to simple and Cup II wheels are hard to get. Cup III wheels are a bit expensive, especially when the are original Porsche, but they are modern. I was able to buy my Cup III wheels rather cheep. For 1000 euro I had my own set of four. They are original Porsche but have a few paint failures. But who cares, 1000 euro for four wheels is better than 840 euro a piece. Besides wheels you also need tires. And they also cost almost 1000 euro. I have chosen for Continental Sport Contact 2. In the first compilation you see the four boxes with the wheels and the new tires. 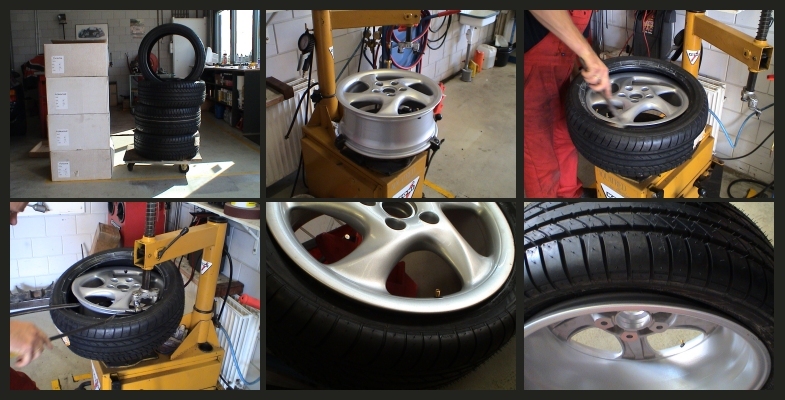 Next you see how the first tire is mounted on the wheel. That is a hard job. Halfway you think everything is broken, but afterwards it is all ok. It is of course logical it is hard to mount, because you do not want the tire to separate from the wheel at 250 km / hour. After mounting the wheels to the car, the rear wheels did not look ok. They car did not look wide enough. The solution for this problem are track wideners. I choose for 15 mm spacers. You could not get your finger between tire and bodywork, but it looks great. Below you see the the mounting of the spacer. 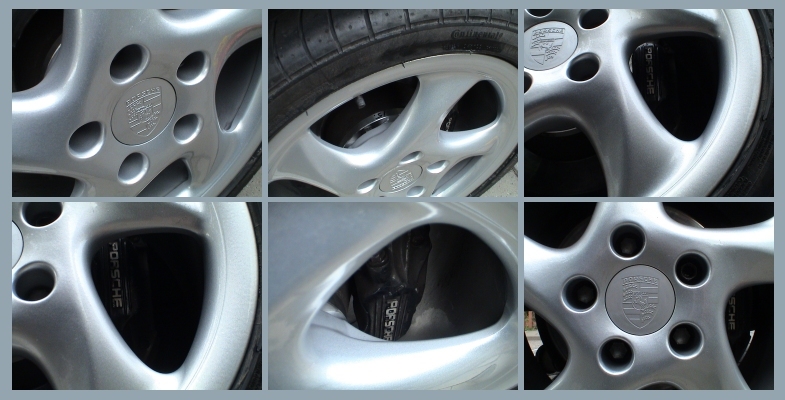 The next couple of pictures gives you some artistic impressions of the Cup III wheel. 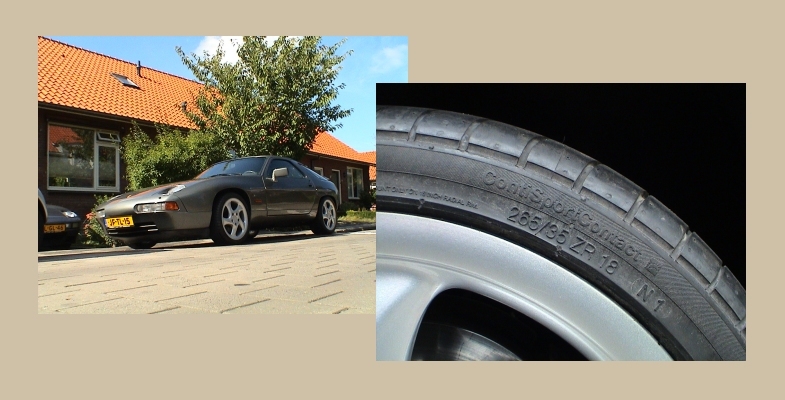 On the last two pictures you see the 928 S4 with the Cup III wheels and a close up of the rear tire. ContiSport Contact 2, 265/35 ZR 18 N1. The right tire for a shark.